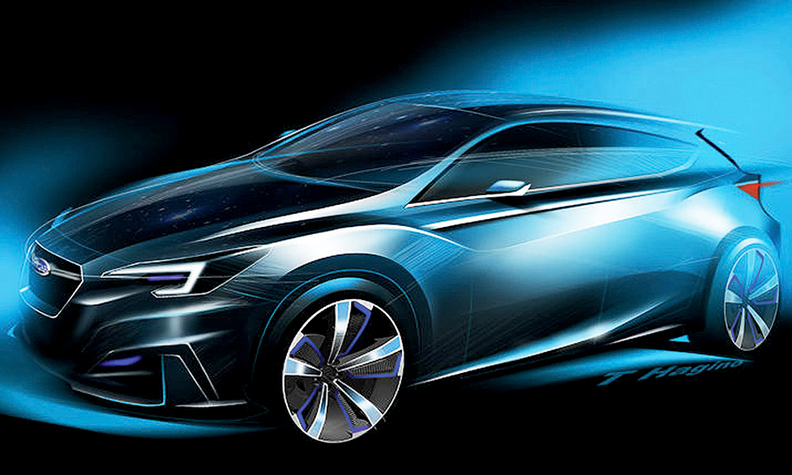 Renderings from Subaru offer glimpses of the Impreza 5-Door Concept to debut at the Tokyo Motor Show. 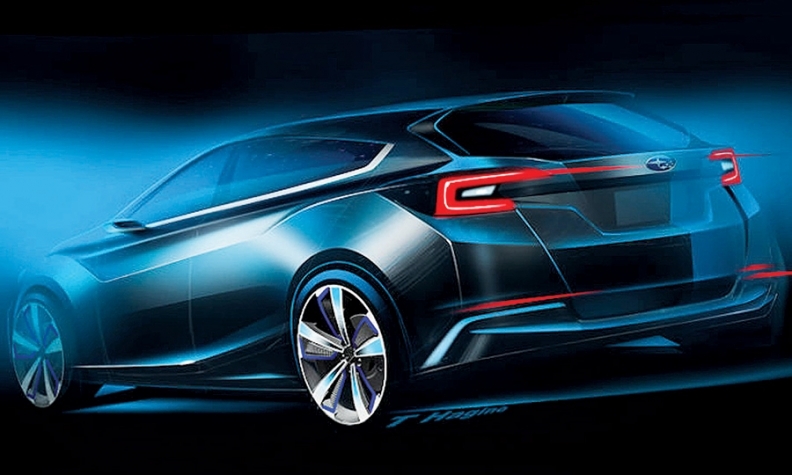 TOKYO -- Subaru's Impreza 5-Door Concept to be unveiled this month at the Tokyo Motor Show previews the next-generation Impreza that's expected to arrive in U.S. showrooms in late 2016. The 2017 Impreza will be the first vehicle on the new global platform Subaru will use in all its redesigns plus a new full-size crossover. Renderings of the concept show an aggressively creased hatchback with a low and wide stance and pronounced shoulders over the wheels. With a fastback roofline and minimized greenhouse, the design cuts a meaner silhouette than the current-generation Impreza. The Impreza is Subaru's best-selling car in the U.S. through September, with sales up 18 percent from the year-ago period to 75,613.